The specialists at Kitchen Views showrooms offer products that will satisfy those who want the look and feel of luxury, while building smarter and greener. These products are no longer just for high-end homes. Kitchen Views and National Lumber are proud to be part of programs that authenticate their high level of commitment to the environment and sustainability of natural resources. 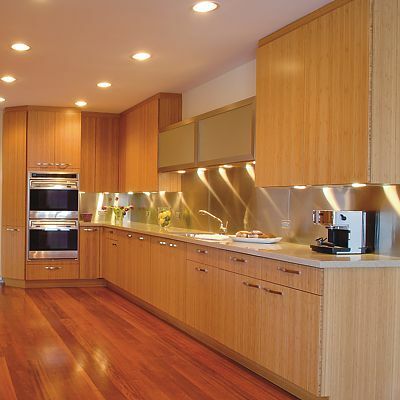 Learn more about "green" cabinetry and countertops by reading a PDF of our article, Going Going Green, from the summer 2009 issue of Kitchen Views magazine. Each of these cabinet brands have earned certification in the groundbreaking Environmental Stewardship Program. This program grants annual certification to manufacturers who meet a stringent set of environmental criteria. 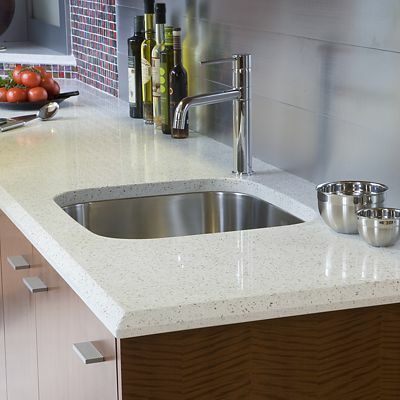 Along with traditional stone selections, many affordable green countertop options are available. 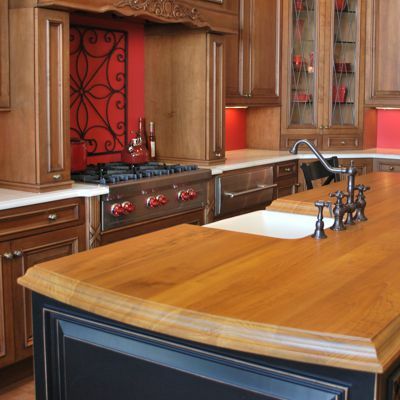 There are green options ranging from recycled synthetic materials to reclaimed wood for you to consider when selecting a countertop. They are both unique and great for the environment!